With the widening of U.S. Highway 70 between Hot Springs and Interstate 30, travel between the two cities has never been easier and safer. The highway officially opened on June 1 and now lowers the travel time between Downtown Hot Springs and Downtown Little Rock to under one hour’s time. The Arkansas Department of Transportation (ArDOT) widened the road from two and three lanes to four travel lanes and a continuous center turn lane. They also straightened curves, flattened hills, changed the geometrics of the highway and installed a traffic signal at the intersection of Highway 128. ArDOT completed the project an incredible five months early. This is great news for families as it provides more job and career opportunities without the hassle of living in the larger community of Little Rock. Commuters can enjoy the benefits of living in a smaller town while still finding jobs that may or may not require them to be in a larger city. Hot Springs resident Scott Connelly said, “I drive it several times a week and the finished product is pretty amazing.” He said the new road moves smoothly to Interstate 30 in no time. “With the wider road and turn lanes, it seems much safer,” he added. The shorter commute will also be beneficial to some working couples, allowing one spouse to make the short commute to Little Rock while the other finds work in Hot Springs’ local industries like nursing, education, sales, etc. A shorter commute to Little Rock also brings Hot Springs area residents closer to attractions that only come to larger areas, like traveling Broadway shows and concerts. Little Rock is also home to the Arkansas Travelers, the minor league baseball affiliate of the Seattle Mariners. For those visiting residents of Hot Springs, travel to the Spa City is quick and easy. Little Rock is home to Bill and Hillary Clinton National Airport and has direct flights to many locations around the United States, including Los Angeles, Denver, Austin, Texas and Washington, D.C. Seven airlines offer more than 60 daily flights from Little Rock to major hubs. But you can also fly directly to the Dallas-Fort Worth area via Southern Airways right here in Hot Springs. Most days of the week three flights going to DFW Airport or coming to Hot Springs are offered. The highway construction project is great for business in Hot Springs, which in turn is great for the local economy and quality of life. 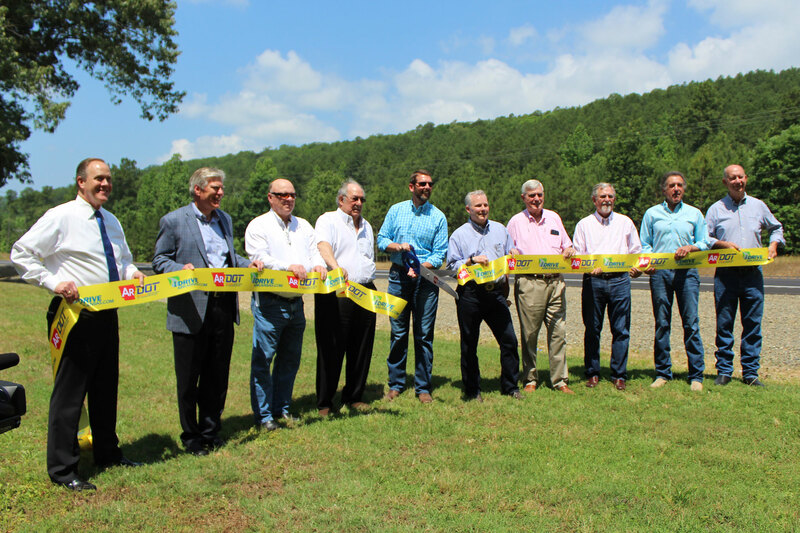 Improved roads bring increased commerce to the communities along their corridors, Hot Springs Mayor Pat McCabe said during the June 1st ribbon cutting held to celebrate the completion of the project. With it being easier to get to Hot Springs, people will travel to the area and spend money at local stores and tourist attractions. With three lakes, live horse racing and a national park, among many other attractions, Hot Springs is a great weekend getaway to countless people in central Arkansas. The drive between Hot Springs and Interstate 30 is also extremely scenic and takes motorists through wooded hills. Many commuters have commented that with the improved safety of the road they now can take in the scenery. The widening of U.S. Highway 70 is extremely beneficial to the Hot Springs community as it puts its citizens within reach to even more resources.